My name is RetroBunnie and it's a honor for me to be here. 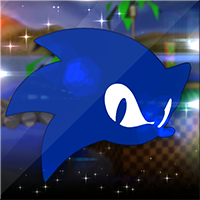 Not only I'm an old school Sonic fan, but also I can draw, do Photoshop, collect pictures, and all of that. Anyway, I'm looking forward to an exciting year around here and hoped that everyone have a wonderful day. Thanks for support me while I was creating this site and for helping me with the comic downloads. I'll make sure to have a moderator spot reserved for you when I set up staff jobs. But aside from that, hope you enjoy your stay and welcome to the site! I will be making tweaks and updates everyday, so be sure to check it out from time to time. Looking forward for that staff job soon if possible.